If ever there were a time for rejuvenation, this was it. Philippa gazed at herself in the mirror. Twelve years on and she still managed to cling to the hope that her youth was endless. The evidence, reflected before her, proved otherwise. But something deep within her began to change. She struggled to make sense of it. A boring ex-wife, doomed to a midlife divorce and a minimum wage job. No hopes, no dreams, no anything. Each day she arose confirming this self-inventory, and every night she struggled to sleep, haunted by her personal truths. But today, she noticed something not visible: her memory. 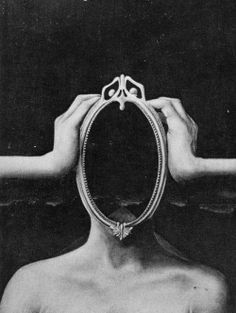 She recognized the face in the mirror, but not its purpose. Philippa’s hands traced the contours of her cheeks, her neck, even pinching the flesh to examine its authenticity. Nothing. She turned away and walked the interior of her home seeking clues, feeling reassured that her mother’s artwork hung from the walls, last night’s leftovers expected to become today’s lunch, and Sunday’s crossword needed a few more clues to be solved. Be it said by me, Philippa Jrzowski, that no longer shall I exist. Instead, my soul will be inhabited by unknowns. My thoughts shall be those of indeterminate usefulness. I shall wrest whatever I can from what ever I become, if for no other reason than to live. And I mean, LIVE. Enough, thought Philippa, enough. She smoothed out the paper and lay it on the comforter. She returned to the mirror, gazing hard at the image before her. This time, however, a woman appeared more fierce than before. Philippa reached towards it and clutched its edges, bringing it closer, blurring her focus. She smiled.